Its that time of year again! 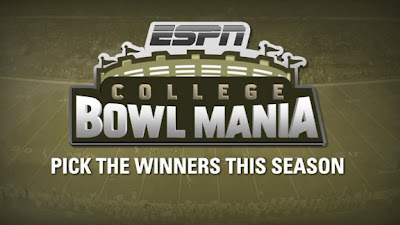 Time to sign up for the Maize & Blue Nation/Moe Sport Shops bowl pickem league. After hosting our regular season league on Yahoo, with mixed results, we're back to hosting the bowl league on ESPN. Of course, our great partners at Moe Sport Shops in Ann Arbor have again agreed to sponsor this event with prizes for the top 3 finishers. If you have any questions, email me at brad at maizenbluenation dot com. Good luck and happy picking!